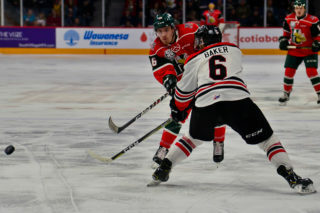 Your Halifax Mooseheads are set to begin the 2018-19 home schedule on Saturday, October 27th at 7pm versus the Cape Breton Screaming Eagles. 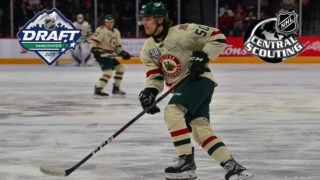 You know it’s going to be a great time as the Herd begin the march to the 2019 Memorial Cup to be held right here in our own rink. The team will be more than ready for some of that famous Moose Country support after playing the first 15 games of the season on the road. 1) It’s the first game of our 25th Anniversary season. Are we that old? We’ll do what we do best, which means the pre-game hoopla will be off the charts. 2) This is your first chance to see newly acquired star Antoine Morand in a Halifax uniform on home-ice. Fans are pumped for the arrival of the Anaheim Ducks prospect. Get your vocal chords ready. 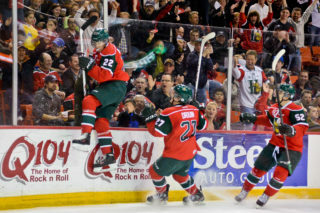 3) The Mooseheads have won 8 in a row against Cape Breton. We’re on a roll and boy is it ever fun to send them back to the big fiddle with a loss. 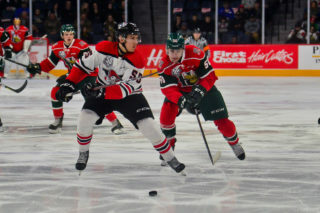 4) The Screaming Eagles have a very interesting revamped lineup featuring 40-goal scorer Mitchell Balmas, defenceman Antoine Crete-Belzile and 10th overall draft pick Alex Drover of the Halifax Macs. 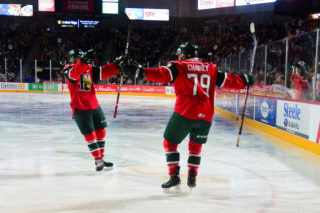 5) It’s the Battle of Nova Scotia on a Halifax Saturday night in the Fall. Enough said. Sociable! New 15 Game Packs will go on sale in September. The on-sale date for Individual Tickets will be released later this summer.